Day 102 – The boys went to bed early, although not to sleep early ready for back to school in the morning. 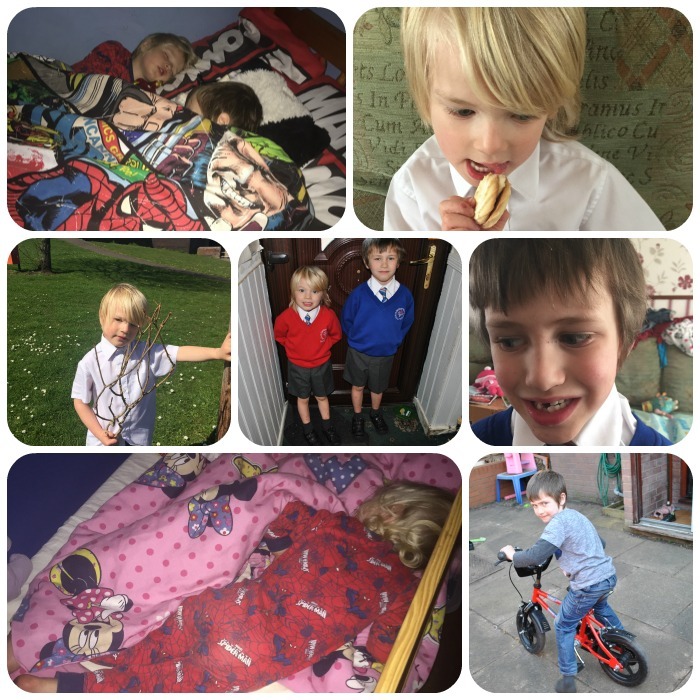 Day 107 – JR lost yet another tooth, where’s the pause button to stop my baby growing up? Day 108 – JR decided he wanted the stabilisers off his bike, he hasn’t managed to peddle it and stay upright yet but he is very determined. I think it maybe time to buy JR a bigger bike. Yes, me too. He tried last year but asked for his stabilisers back on after 20 minutes. What cute photos – your boys look very smart for their photo!